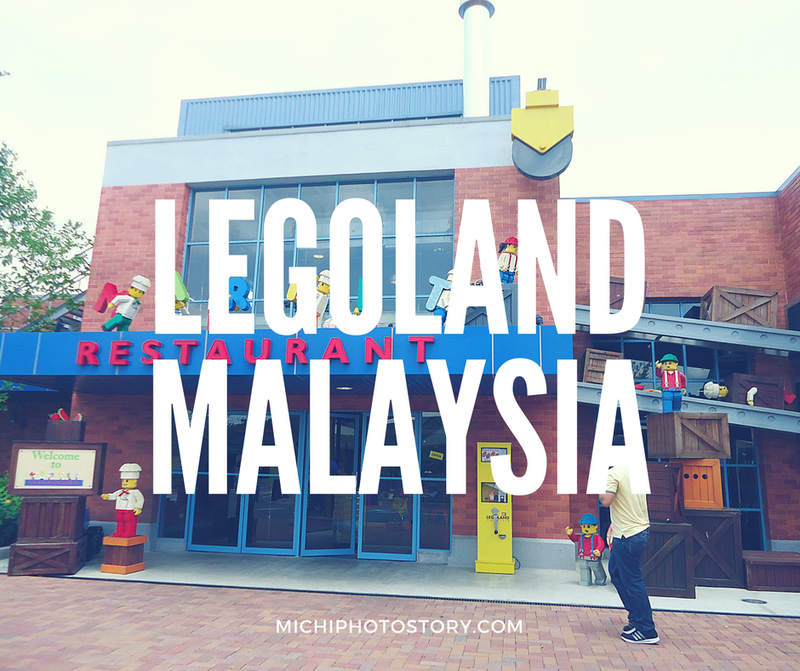 Prior to the trip, I’ve made my research how to get to Legoland Malaysia from Singapore. 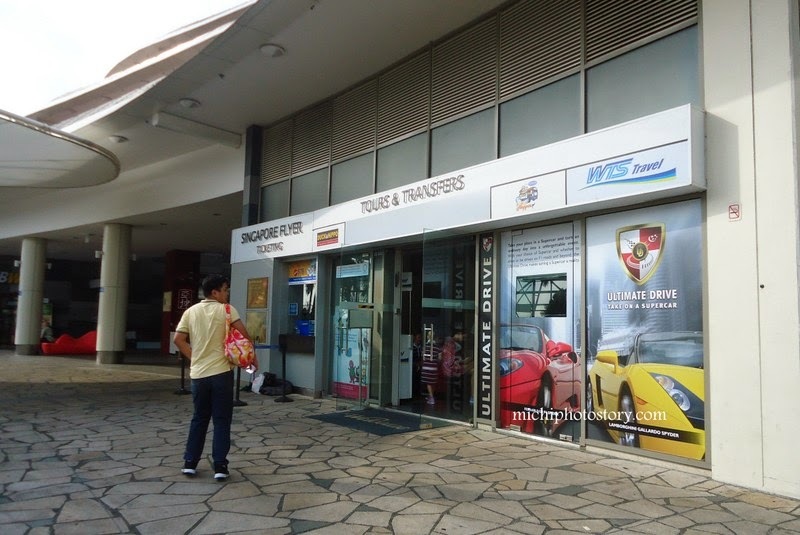 There are a lot of pieces of information but I decided to avail coach transfer from WTS Travel Agency. Actually, you can book your tickets online but I decided to buy the ticket when we get there. After our breakfast, we went to WTS at Singapore Flyer but we missed the 9:30AM trip so we have to wait for the last bus trip which is 10:30AM. 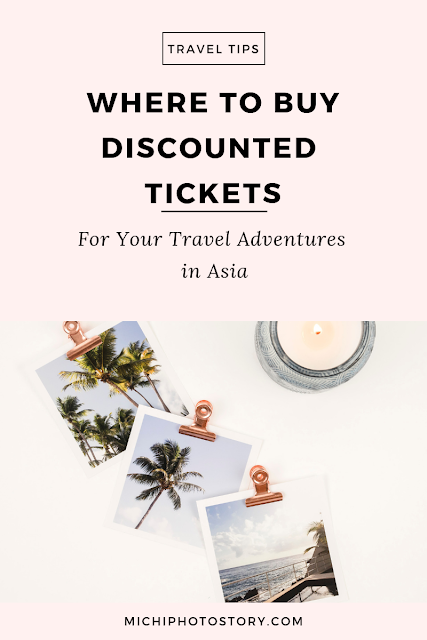 It is better if you buy the package because it is much cheaper but since I still have Malaysian Ringgit, I just avail the coach transfer at SGD20 per person (Round Trip). 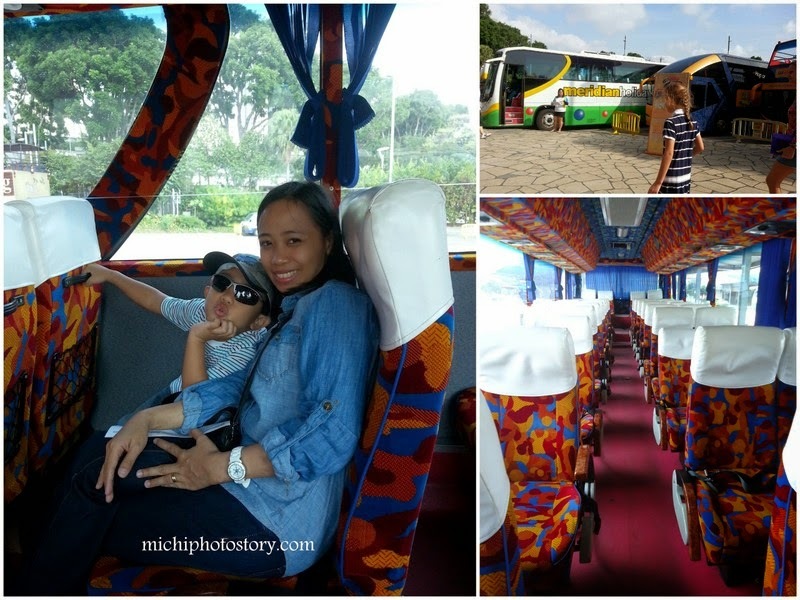 The travel time is around 1 hour and 30 minutes including the two immigration stops in Singapore and Johor Bahru. Finally, we reached our destination. We bought the ticket first, they also accept Singapore Dollar so no need to exchange money if you came from Singapore. We paid in SGD and RM. We arrived just in time for lunch so I immediately checked the map to locate the food shops but my son was so excited to check the theme park so we checked the Lego City Zone first. 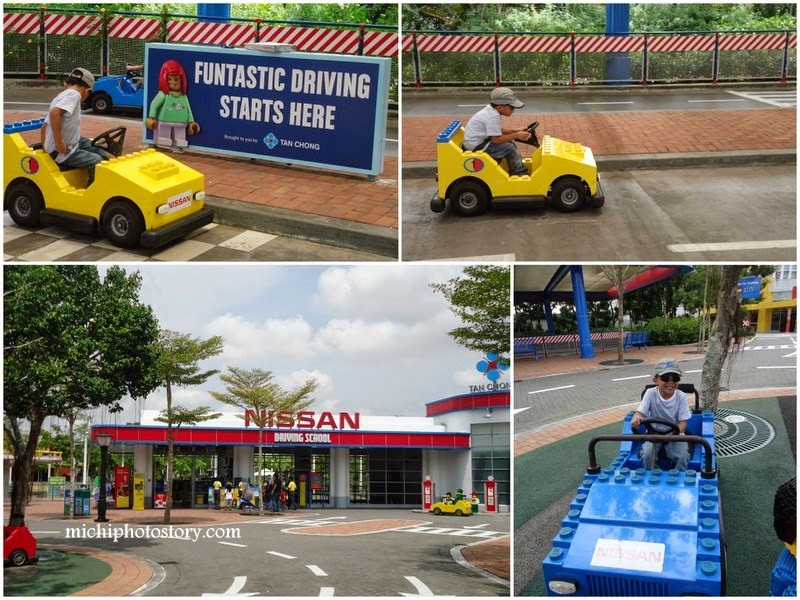 My son tried the Junior Driving School and we rode the boat in Boating School. Then we convinced him that we should eat our lunch first and with a heavy heart, he followed us in the Market Restaurant. 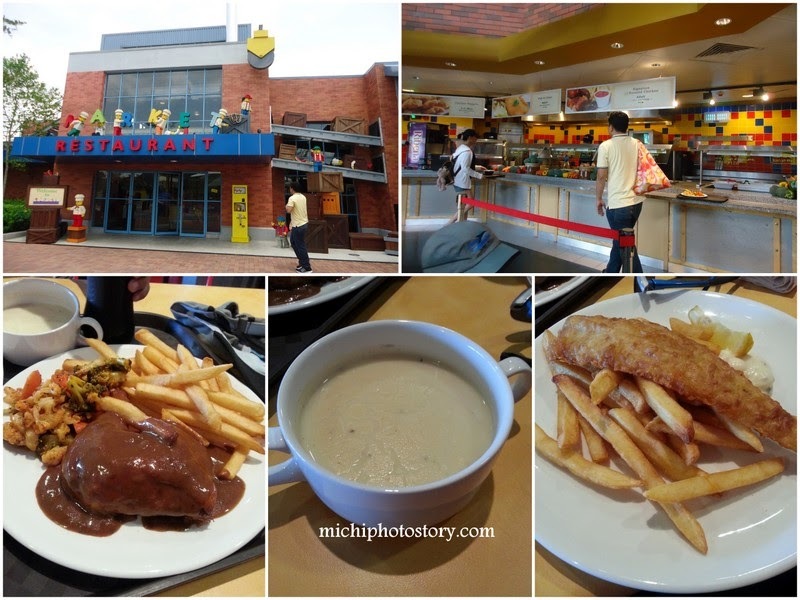 My husband ordered Roast Chicken and Fish and Chips at RM28 each, the meal includes soup and soda. 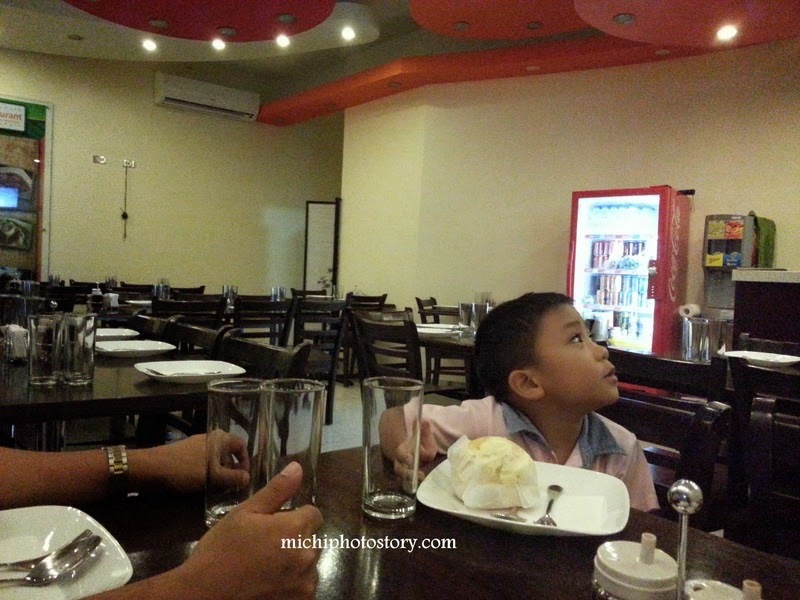 I shared my meal with my son. 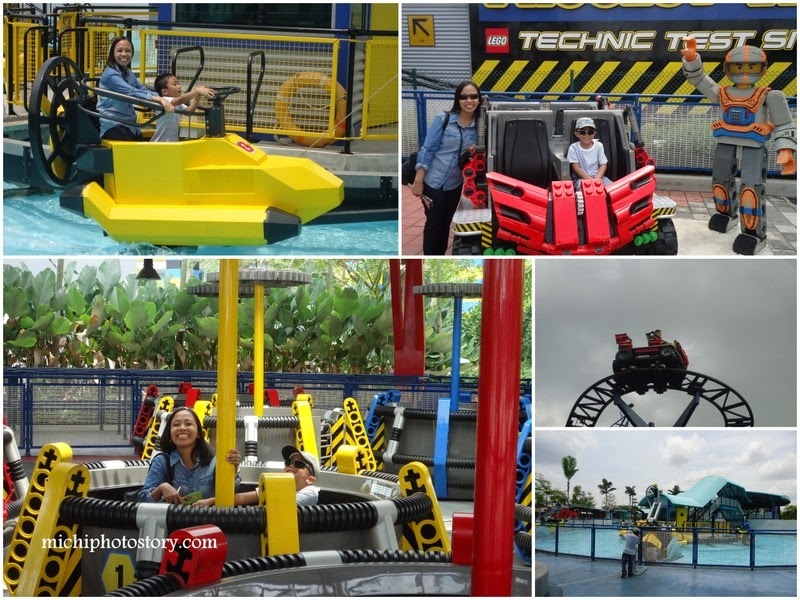 After lunch we moved to Lego Technic Zone, we tried the Technic Twister and Aquazone Wave Racers. My husband rode Project X while my son enjoyed the Water Splash. 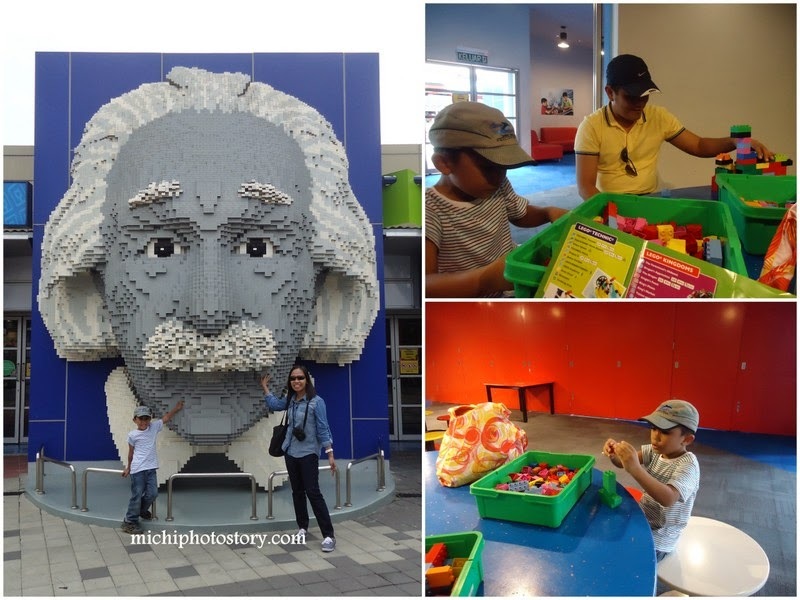 We can’t take the heat so we went inside the Lego Mindstorms and Lego Academy. 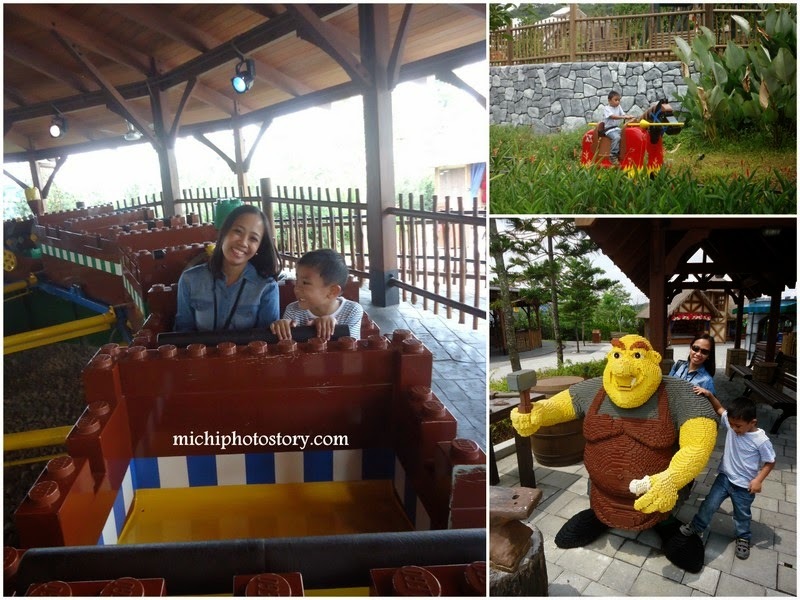 Next stop is Lego Kingdom Zone, my son wanted to play in The Forestmen’s Hideout but my husband convinced my son to join him in Dragon’s Apprentice. It was a roller coaster and my son was so scared when I checked their picture. My husband and son were shouting all throughout the ride so they decided not to ride the “The Dragon”. 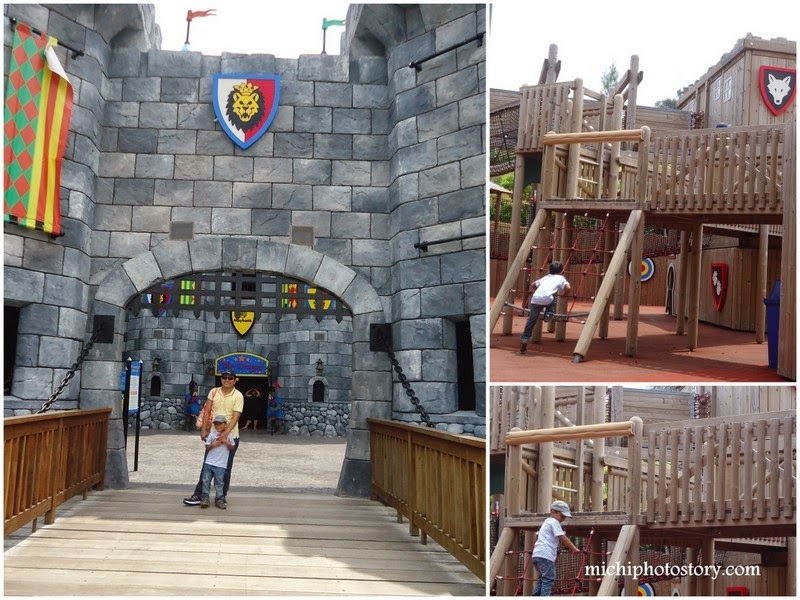 My son rode the Royal Joust and we tried the Merlin’s Challenge. 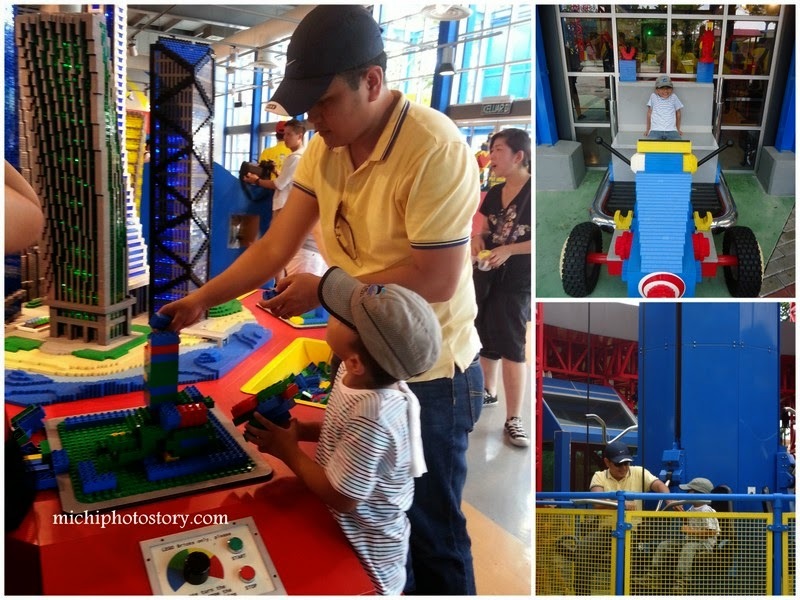 We moved to Imagination Zone, where my son and husband played lego in Build and Test and rode the Kid Power Towers. We also watched Lego movie in Lego Studio. 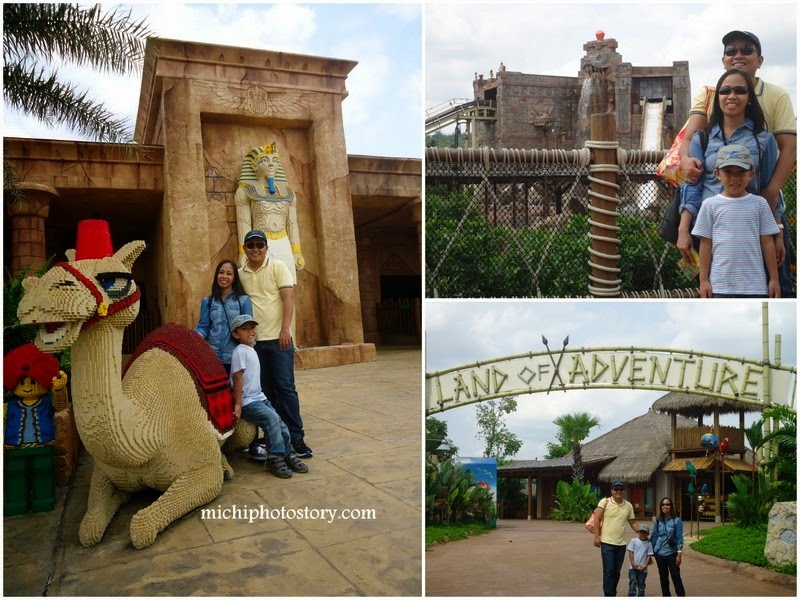 After the movie, we walked to the Land of Adventure Zone and tried the Pharaoh’s Revenge and Lost Kingdom Adventure. 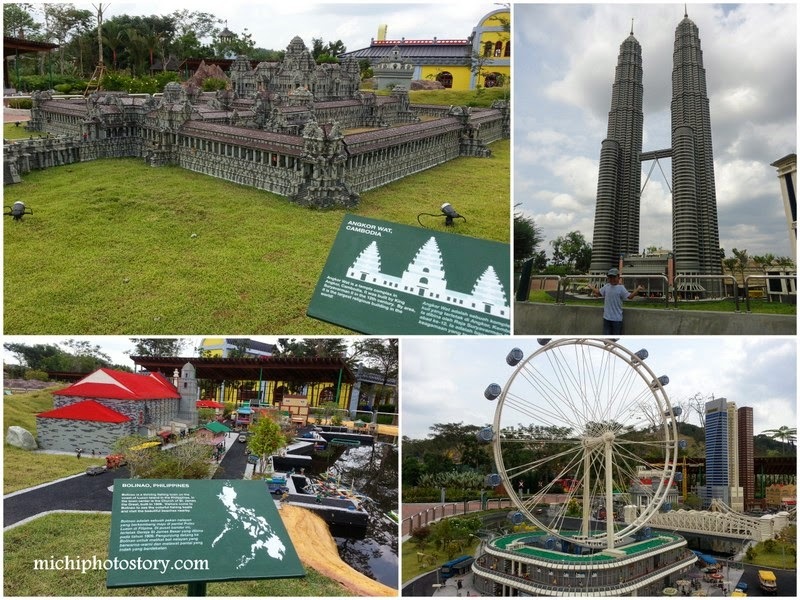 Last stop is the Miniland Zone, where you can see famous landmarks in different Asian Cities, these landscapes are build out of Lego. #amazing. 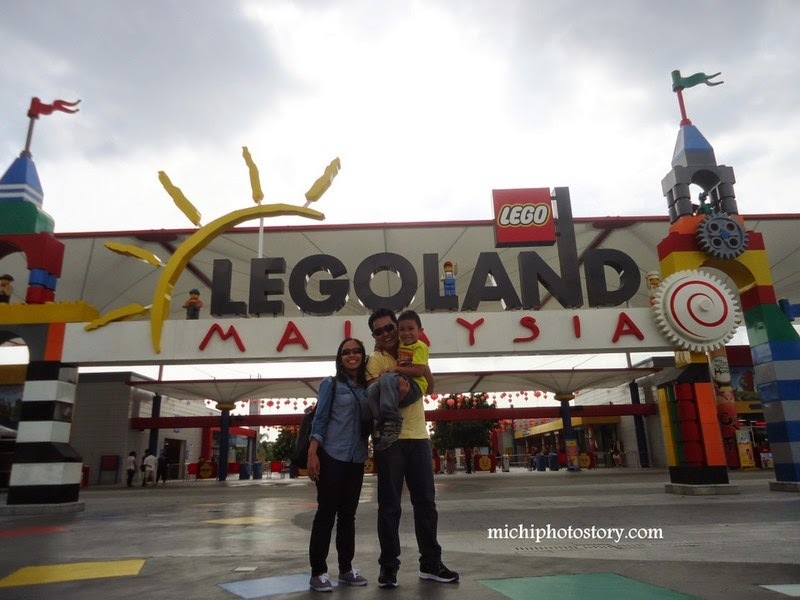 Of course, we rode the Legoland Express Train and kiddie train for my son. Our last activity for the day is this. #maslalokaminapagod. We finished the tour in few hours and we spent the remaining time in eating and checking the Big Shop. We bought some souvenirs and rest while waiting for our bus. 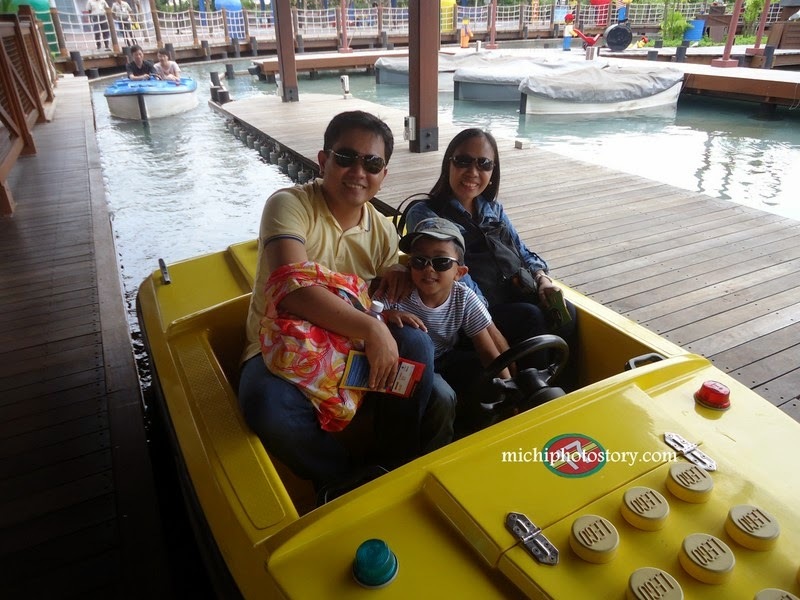 Note: During our trip, the place was not crowded so no long lines and sometimes we’re the only people in the ride. It was really hot so we spent a lot of money in buying drinks. I live in tropical country but still, I can’t take the heat so I suggest you visit this place in colder months, maybe December or January. #limitedshade Bring extra clothes, umbrella, cap and face towel. * This post contains affiliate link/s. 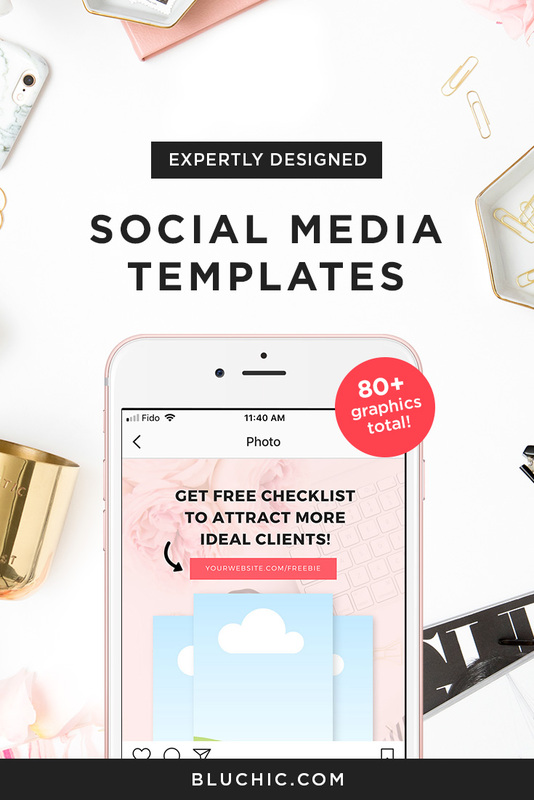 If you decide to make a purchase, I will earn a commission at no additional cost to you. Thank you for your support. Summer vacation and no activities at all is not good, I can see that my son is getting bored in the house. We still have our own activity every day, I let him answer all the pages in his school books but I know that it is not enough to keep him busy so I enrolled him in Summer Class for six weeks (2 hours a day). No swimming lesson this year and we’re still contemplating if we will enroll him in Karate Class. Aside from that, I took advantage of this K5 Learning Free Trial offer. I've been given a 6-week free trial to test and write a review of their program. K5 is an online reading and math program for kids from kindergarten through grade 5. 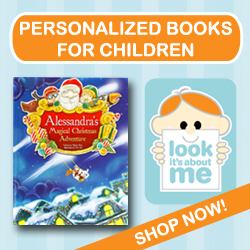 It will help kids in building reading, math and study skills through independent study. 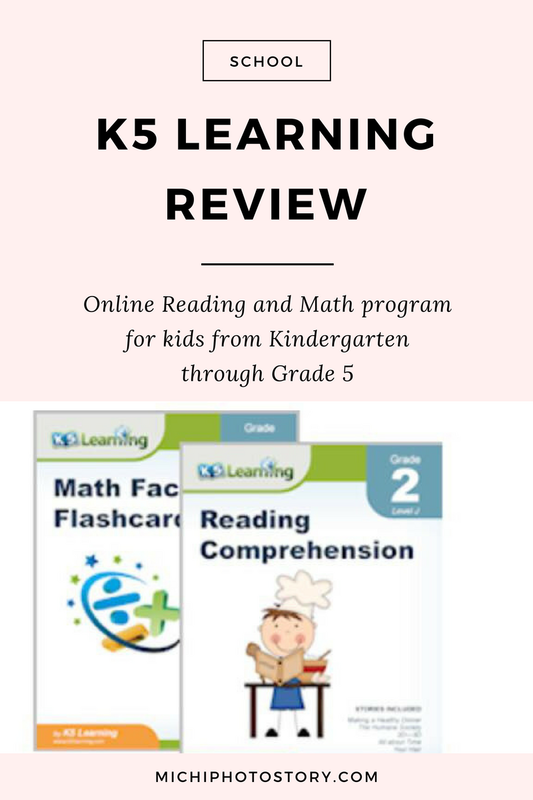 K5 is designed for home use and can be used for after-school, weekend and summertime supplemental study or in conjunction with a homeschooling program. 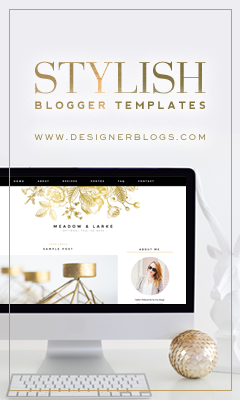 If you’re not a blogger, you can also try their two weeks free trial here. Registering is easy and no credit card required so rest assured that it is really free. My son immediately tried the lesson using the iPad and it was not working so I emailed them regarding my concern and they replied immediately that K5 is not working with tablet or iPad, because we’re so excited to try we forgot to read the FAQ’s. I let my son used my laptop so he can access the lesson and of course I was there to supervise him because he doesn’t know how to use my computer. I have to teach him the basics. I checked the lessons too and after two days I requested for an assessment because I feel that the lessons are too easy for my five-year-old son. My son took the assessment so they will know what appropriate lessons to be assigned. 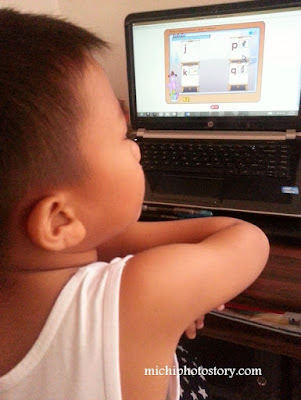 I like K5 Learning because it so easy to use, my five-year-old son did not have a hard time studying while I’m doing something. The programs are engaging and exciting because sometimes there are bonus games after lessons. The lessons are structured and goal oriented and sometimes my son will get more rhyming lessons if he is not yet familiar before moving to the next lesson. 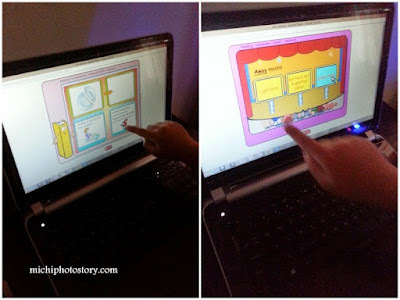 My son did not only enhance his reading and math skills but he also learned how to use the computer. 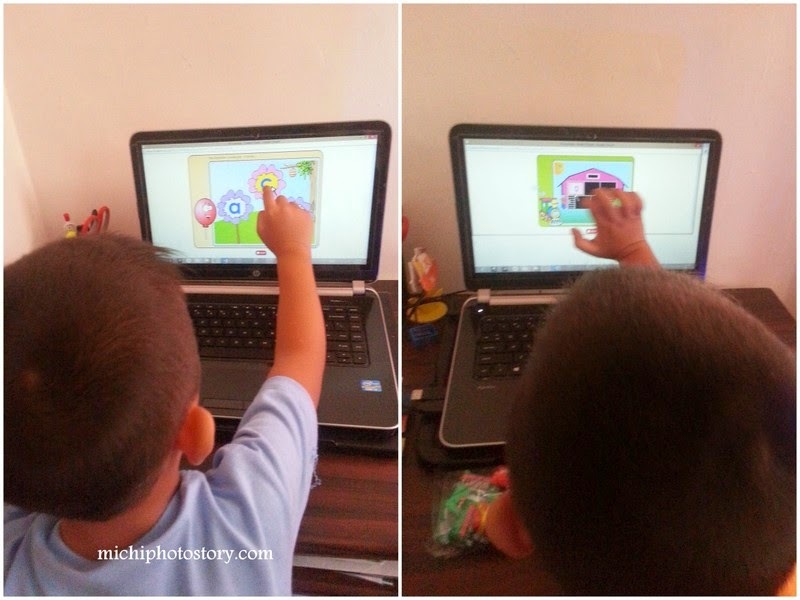 At first, he will just click the monitor of my laptop to answer all lessons (thank God for touchscreen laptop) but before the end of six weeks, he learned how to use the mouse and even type the answer using the keyboard. (Math lesson). He also learned how to listen and follow instructions. He needs to listen first so he knows what to do with the activity. Even I’m not supervising him, I can see my son's progress by checking the reports. I noticed that my son loves Math than English. He is good in all areas in Math compared to English. My son did not like the Spelling lessons and Math Facts, he is having a hard time spelling words like ‘’They” and “Them”. Maybe my five-year-old son prefers to spell words with pictures like animals, things, places or words that he is more familiar. My son doesn’t like the Math Facts because there’s time limit and speed is needed so even he knows the answer, the result is not good because he is so slow in typing the answer. Of course, my five-year-old son is not familiar with the keyboard. 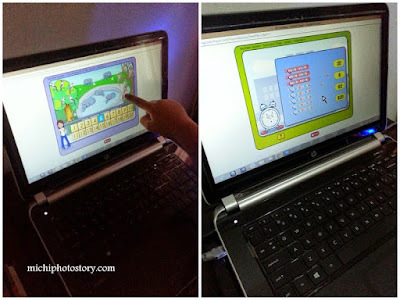 The lesson is simple, 1+1, 1+8, 1+5 and I know my son knows the answer because he will shout the answer while looking at the numbers in the keyboard. My son is not familiar with US money so he had a hard time answering the questions (assessment). Overall, I do recommend K5 Learning if you want to enhance your kid’s reading and math skills. If you want additional lessons or activity during school or summer vacation. Click here if you want to subscribe to their lessons. 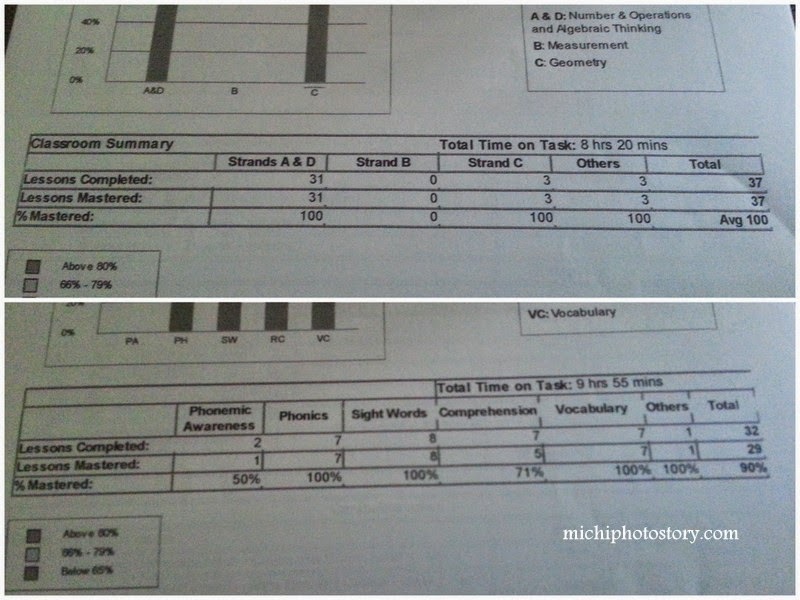 I like their free worksheets which make my life easier. I download and print it so my son can answer more exercises. We only have few days left to enjoy the summer vacation because next Monday my son will go to school already. They’ll be having 4 days orientation for new students so we’re indeed back to school. Few more weeks left and summer vacation will end and honestly, I haven’t felt the vacation yet. Hehehe! I’ve been so busy and it is obvious because of I seldom post in my blog unlike before. Well, I became busy since last week because I started preparing for this school year. After two months, I went back to the school only to find out that there’s price increase in the tuition, books, supplies, and uniform. Waah! I have to readjust my budget again. 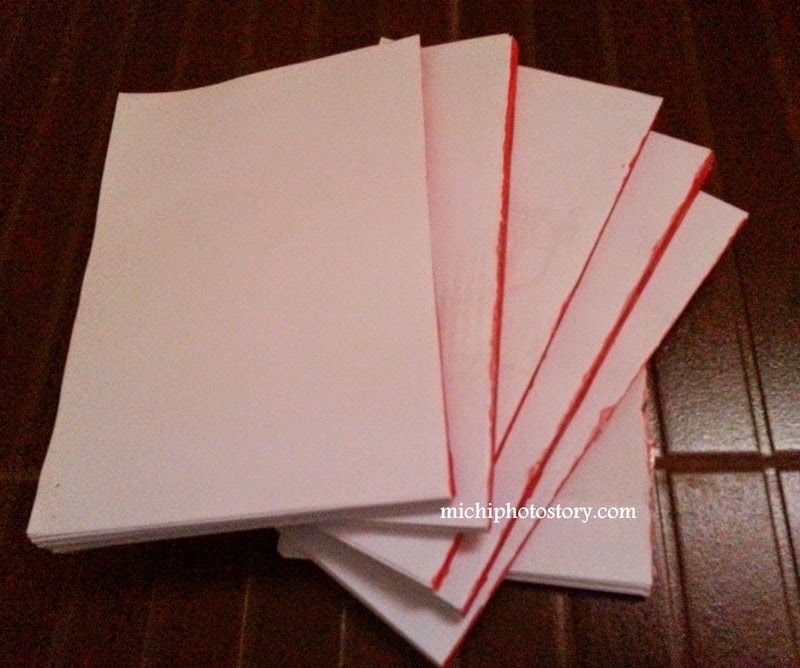 I mentioned in my post before, click here that we transferred our son to traditional school so it means new school uniform so we went to school to fit in his uniform and buy some school supplies. I have to go back yesterday just to buy books because they did not let me last week because there’s schedule for that. It took me an hour just to buy books. #firsttime #welcometobigschool I went there before 8AM and I was already in the 3rd row, #habangpila But I’m still happy because my friend spent almost 3 hours when she bought books. 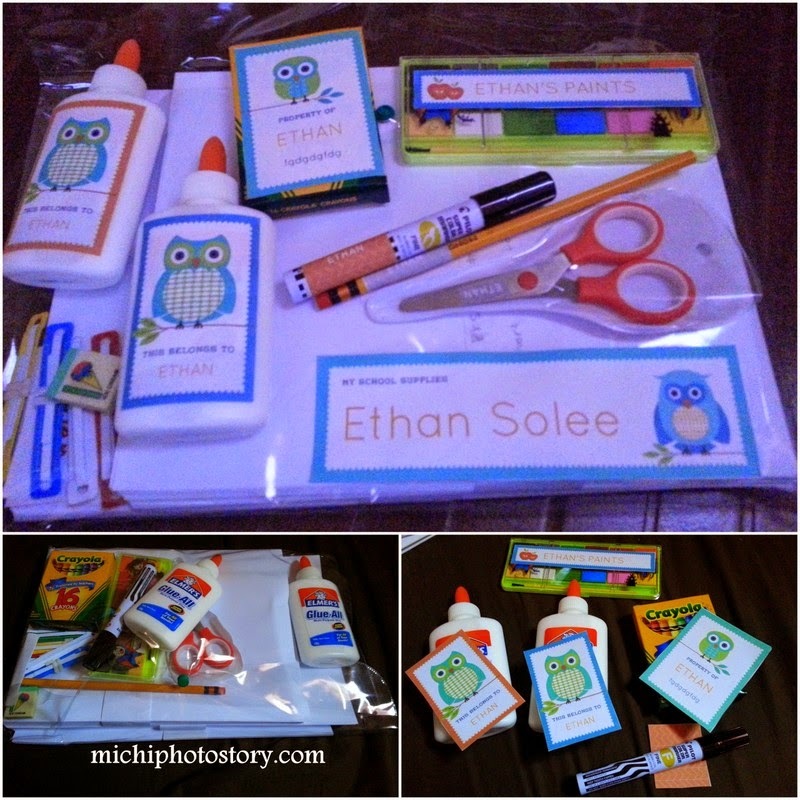 I started putting labels on my son’s stuff, now I can feel that I really have a school kid because for the past two years I did not experience this. 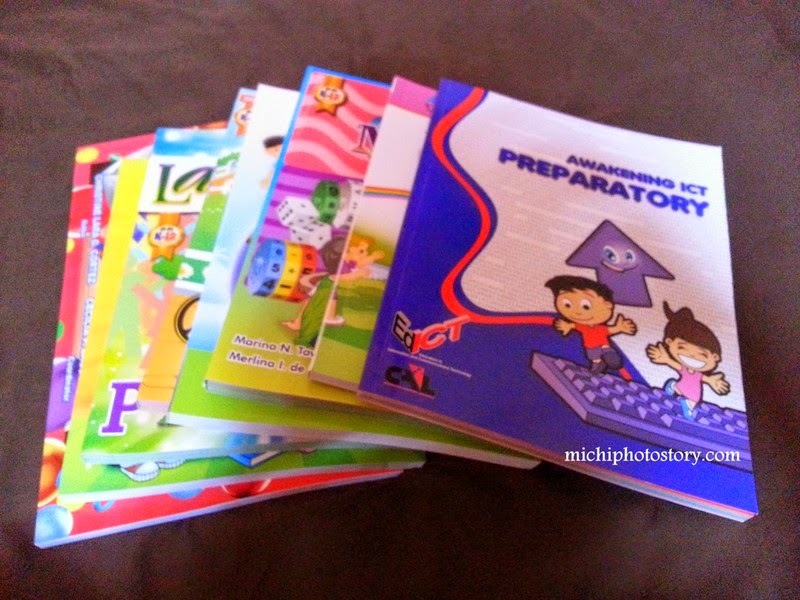 Life is so easy before, I just enrolled my kid, buy books, uniform, and portfolio (includes folder, clearbook and notebook). Cover the books and that’s it. No trip to National Bookstore or Department Store. Anyway, I already have my ‘’Things to Buy” list and hopefully, I can finish everything this weekend. How about you, are you ready for this school year? Click here for my "Back to School Checklist"
For more than a year I did not have any problem with my son using the Ipad because he just plays a game and after that, he stops using it. My husband and I can still use the iPad without borrowing from him because he prefers watching movies or cartoons. 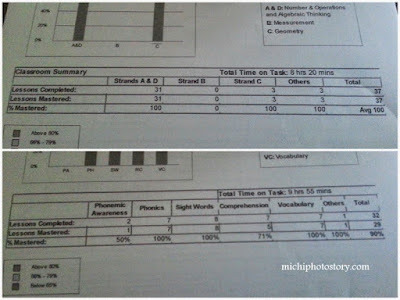 Last February, we said goodbye to our broadband and say hello to our PLDT DSL/FIBR. We’re so happy because of the fast connection but we have no idea that it will also start our YouTube Dilemma. My son learned to use the YouTube apps and enjoys it because no more buffering. I just let him because he is just watching and listening to “Frozen” theme songs. 1. He always wanted to stay at home. As if he can stay at home, we don’t have yaya nor helper so wherever we go, he goes. 2. He always says “Let’s go home”. Whenever we’re out he always says, mommy let’s go home or daddy let’s go home. 3. He is so much affected when there is a slow connection, intermittent connection or no internet. Ex. My husband was driving and when we’re 5 to 7 houses away from our place, my son cried and we asked why and he said. Me: There’s no internet in the car. 4. He is so addicted. He can stay for hours watching YouTube if you will not stop him. He doesn’t want to share the iPad anymore. 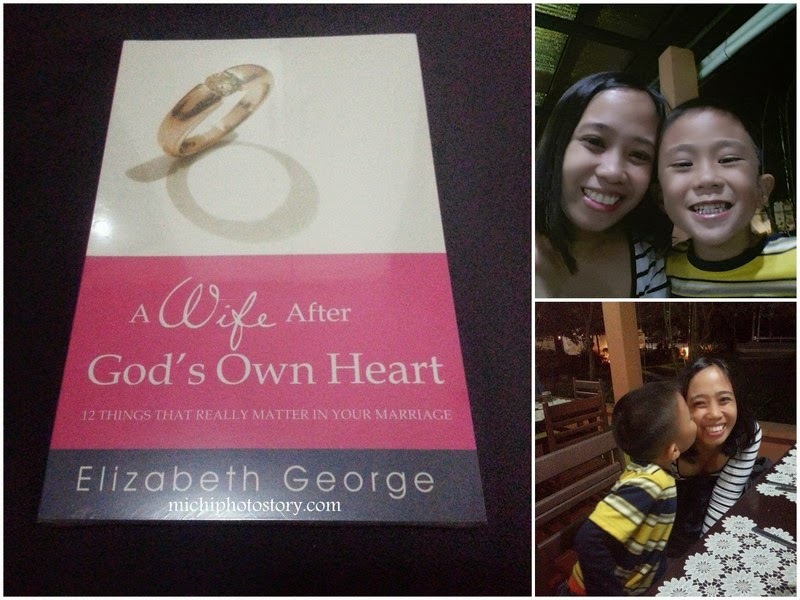 One time, I was busy doing household chores and I heard my five-year-old son said Oh my g*sh, sh*t and motherf*cker. I was really shocked and I asked him, “What did you say?” and he said “nothing”. I asked again “What did you say?”. He did not answer anymore and I told him that I don’t want him to say those bad words. I’m happy that he obeyed me and I no longer hear those bad words but still, we’re finding ways to stop or at least lessen his addiction to YouTube. 2. I declared no YouTube days. 3. Lastly, my husband brings the iPad in the office so he can’t use it. Kids are smart, one time I saw him watching YouTube using my phone. I told him he can’t use my phone. He said, watch sa computer (Laptop), of course, I said no. He said, watch YouTube sa TV. I said no internet sa room. (His dad showed him before that he can watch YouTube on our TV), again I said no. It’s been more than two or three weeks already that my husband brings the iPad in the office and until now whenever he wakes up he will say. 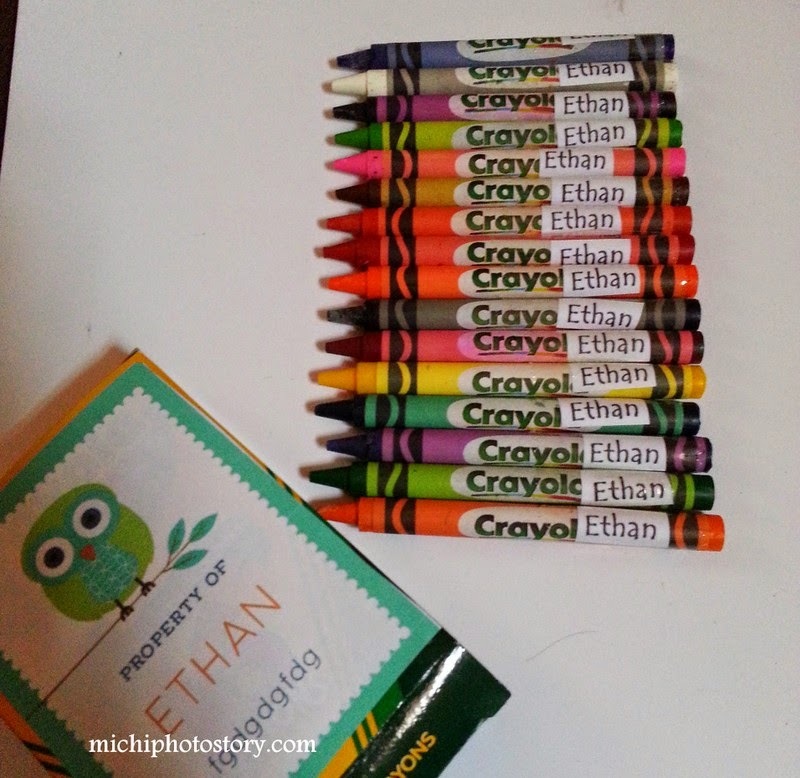 Ethan: I can’t watch YouTube. Well, at least now he is so excited to see his daddy, of course, he is waiting for the iPad. He always says whenever I call his dad. Ethan: Daddy go home na, drive fast ha. I hope someday the addiction will stop and I pray that he won’t be like this when school day starts. Care to share some tips. Update: YouTube is no longer my problem. 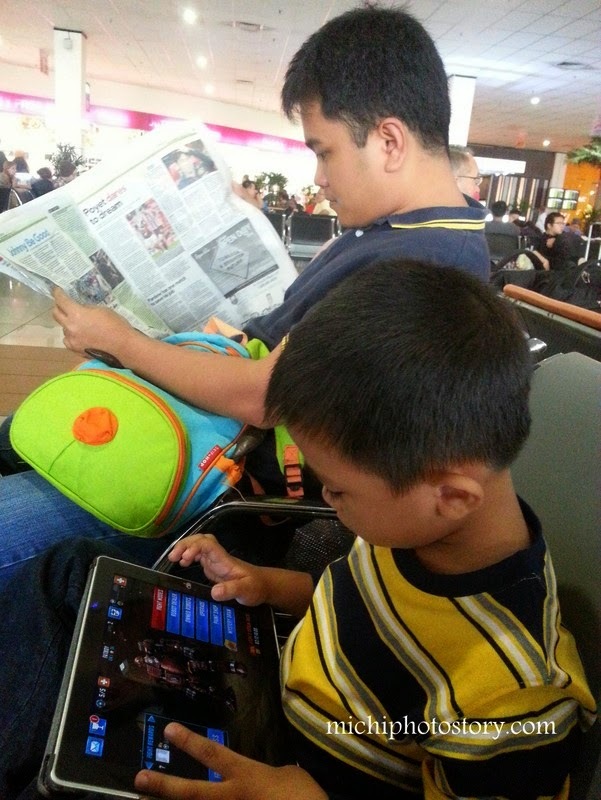 My son follows our rules, no iPad during weekdays. No iPad if he did something not nice. We are using YouTube app for kids. If I will choose between pasta and pansit, I prefer pansit but I don’t cook pansit at home except for instant pansit canton. Maybe because I feel that my home cooked pansit is not yummy, minsan matabang and minsan maalat. Hehehe! 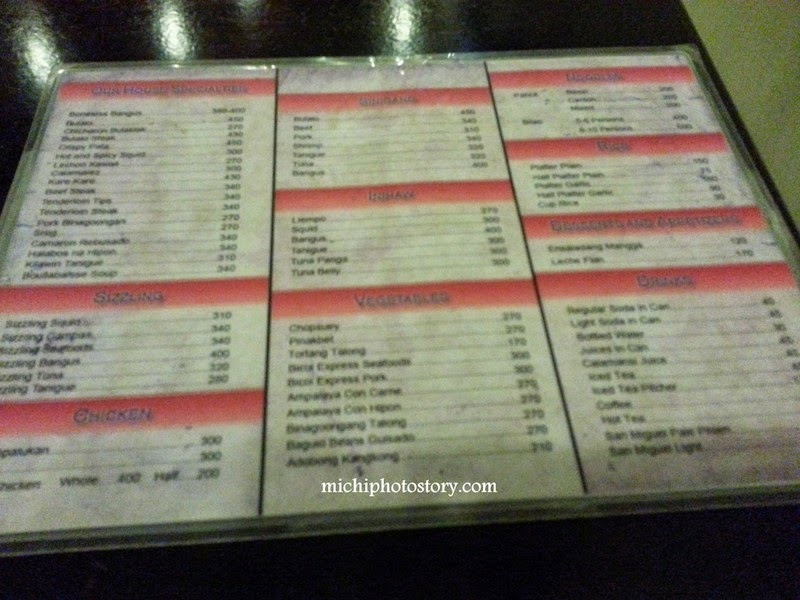 So I prefer buying pansit if I want one. A couple of weeks ago before our home renovation, I saw ‘’Inang’s Pansit Malabon” so we ate pansit malabon and pichi-pichi for lunch. 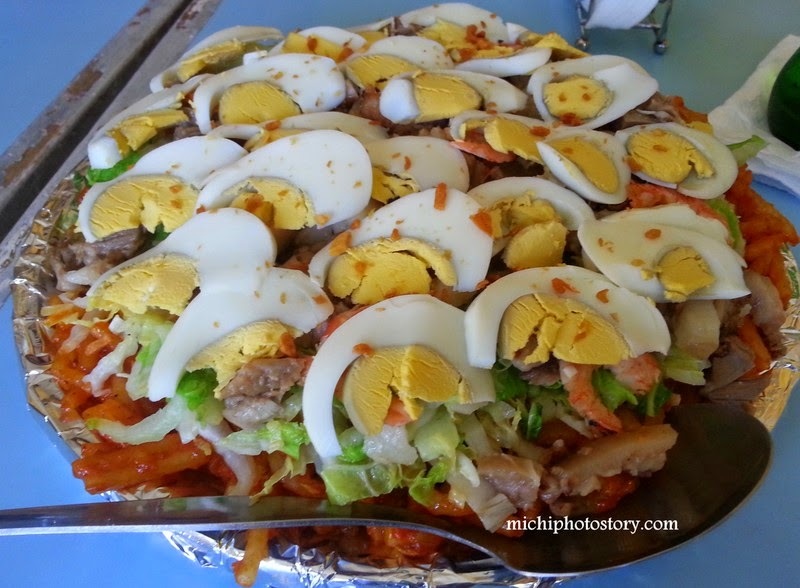 It is good to know that we can buy Pansit Malabon in Binan, Laguna. 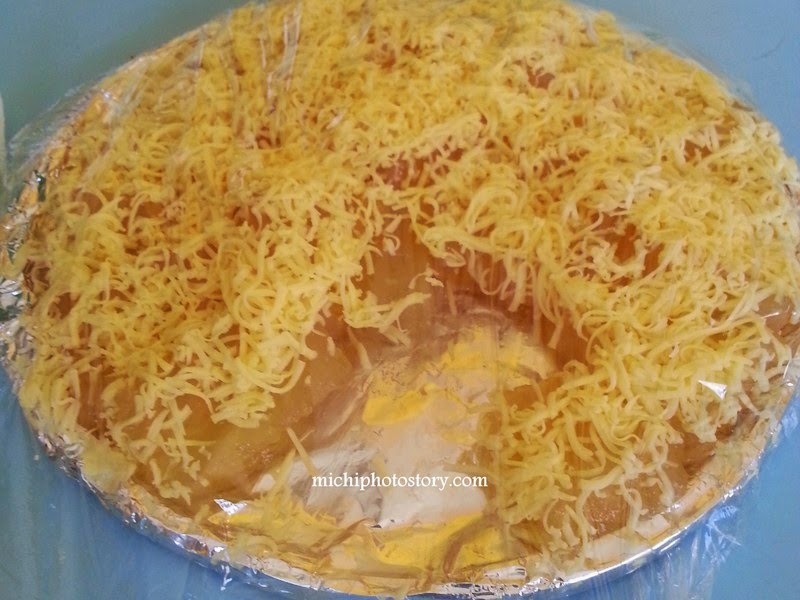 It is something that I really missed because I used to eat this if there’s celebration when we live in Malabon, Navotas and Valenzuela. The price is not expensive too and it is available in different sizes. 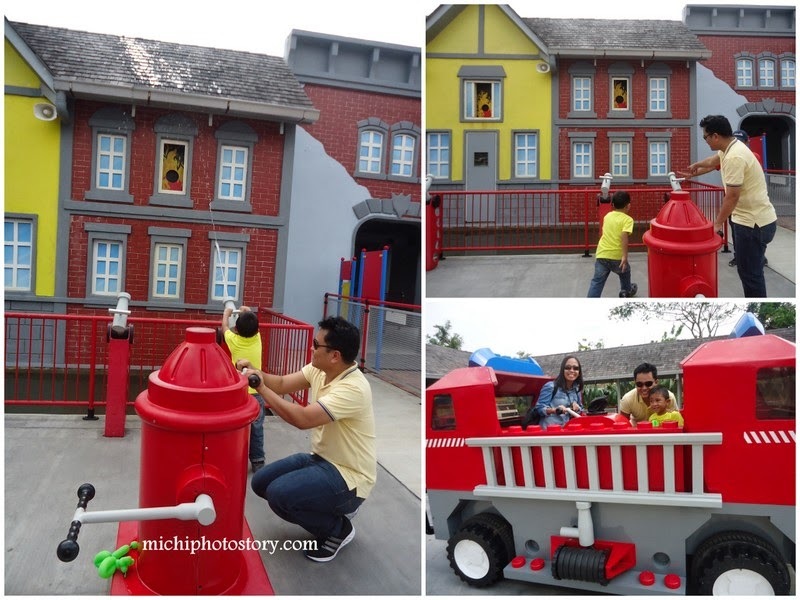 Mother’s Day or Father’s Day is not really a big deal for us because we don’t really plan anything for this day and I don’t expect anything from my husband and son. I don’t assume that they will treat me, give me a gift or I could have a day off. Even they will not greet me, it is fine because I believe that Mother’s Day is not only every second Sunday of May. The truth is, not everyone in the world celebrate Mother’s Day on the same day but I believe most of the countries celebrate every second Sunday of May. Honestly, I can’t even remember how I celebrated my first Mother’s Day, all I can remember is from 2011 to 2013 because of this blog. 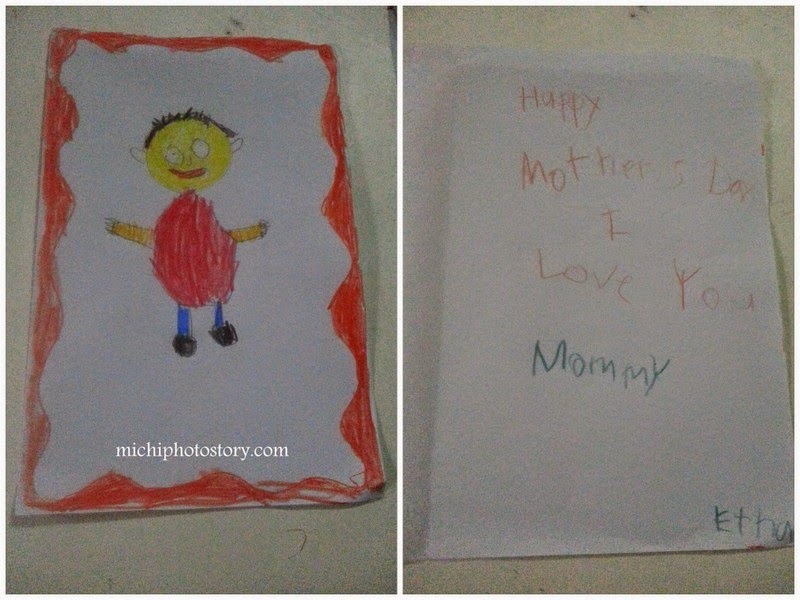 I received my first Mother’s Day card last 2011 from my son. Last 2013, I spent Mother’s day in my OB’s clinic due to UTI and this year, I was supposed to be in my OB’s clinic again for my follow up check-up due to UTI again but I missed my check-up and I did not attend Asian Psorclub outing because we’re so busy at home. We’re having mini home improvement so we need to stay at home and supervise it. But I’m happy it was already finished though I still have a pile of work to do such as cleaning the mess of our home improvement, decluttering the house, finishing my laundry and ironing the clothes. Hay, iisipin ko pa lang napapagod na, hehehe! 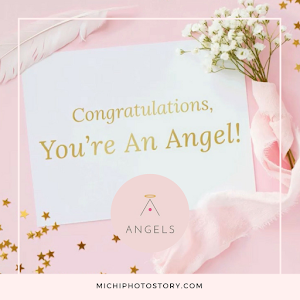 It is better to be late than never, I would like to thank those people who remembered me last Sunday and Belated Happy Mother’s Day to all mothers. My son’s lesson in his summer class is “Telling Time” and I heard his teacher reminding them to study their lesson. So when we got home, I checked his notebook and I saw his seatwork 5/10. My son got only 5 correct answer and I can’t blame him because he is not really familiar with clock. When he was in Nursery, they learned how to tell time per hour. This school year, they taught how to tell time per 30 minutes. I always tell him that 1 = 5 minutes, 2 = 10 minutes and so on. 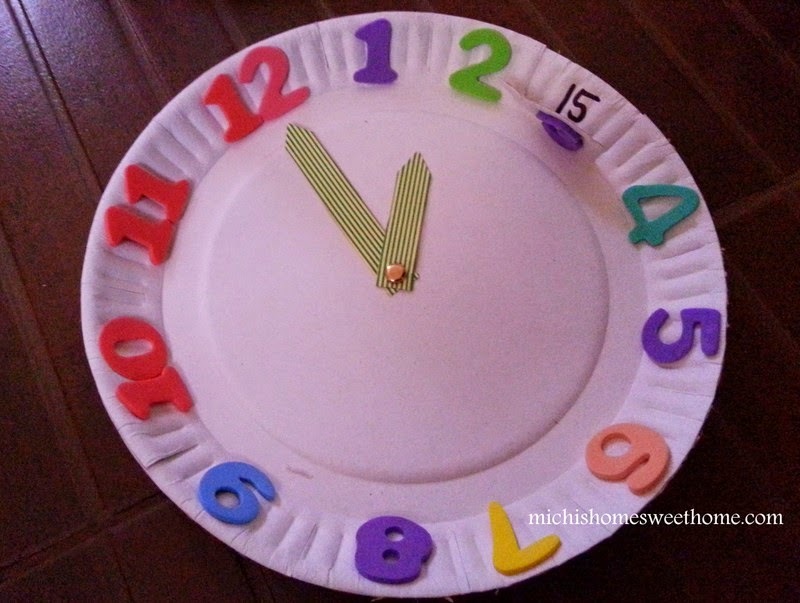 But he is still having a hard time so I made a DIY clock yesterday so it will be easy for him to remember. I checked whatever materials I can use at home. 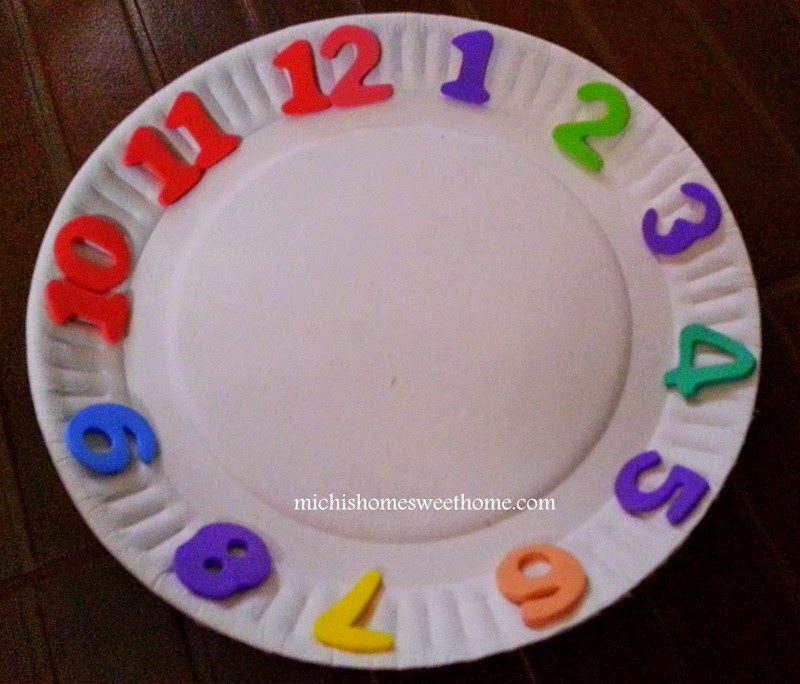 1.Pasted all the numbers at the side of the paper plate. 2.I made 2 clock hands, one short and one long and cover it with washi tape to make it colorful. 3.Fasten the clock hands and paper plate. 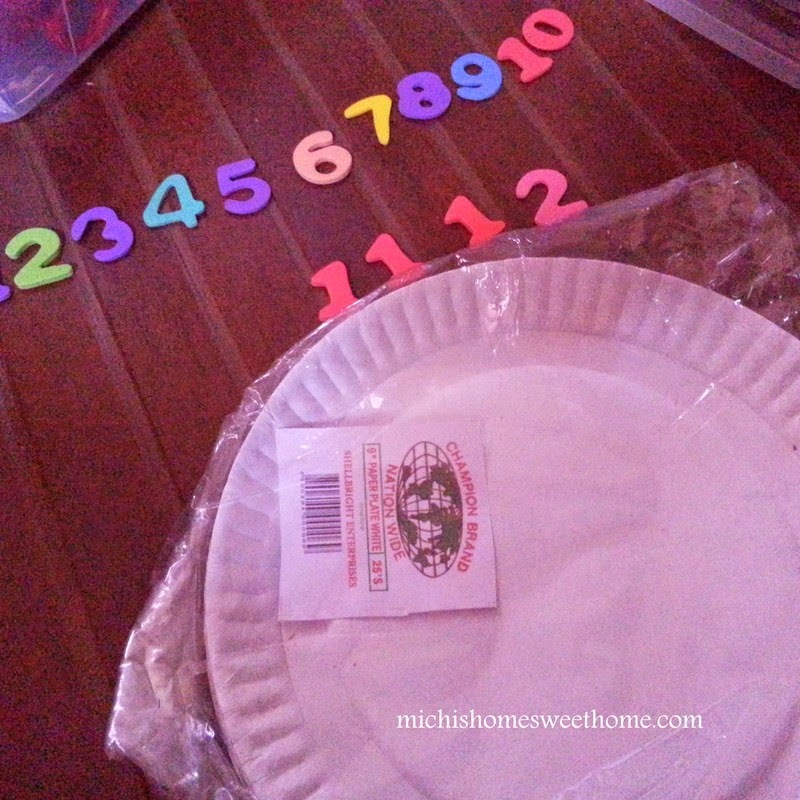 4.Cut the side of the paper plate per number and write the conversion at the back. 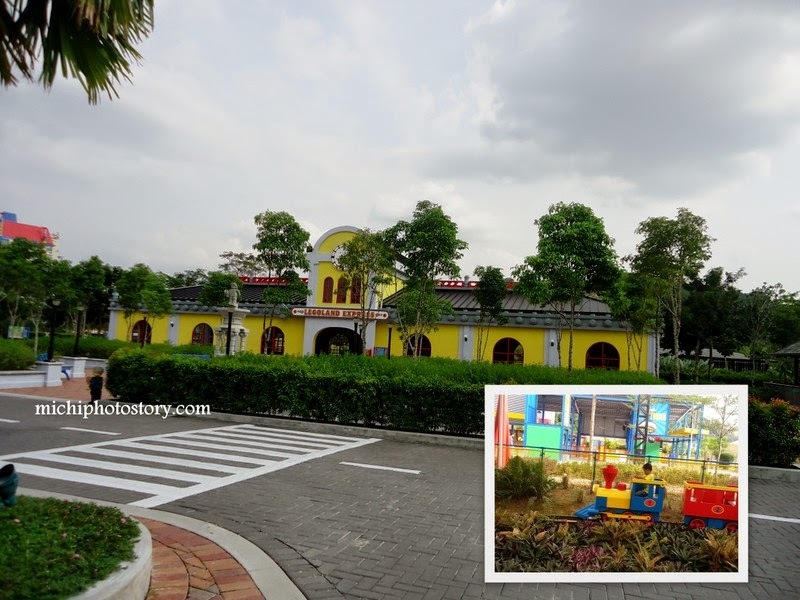 It’s been almost a week of not blogging because I was not feeling well since Wednesday, good thing that May 1 was a holiday and my husband was on leave last May 2 so I was able to rest. 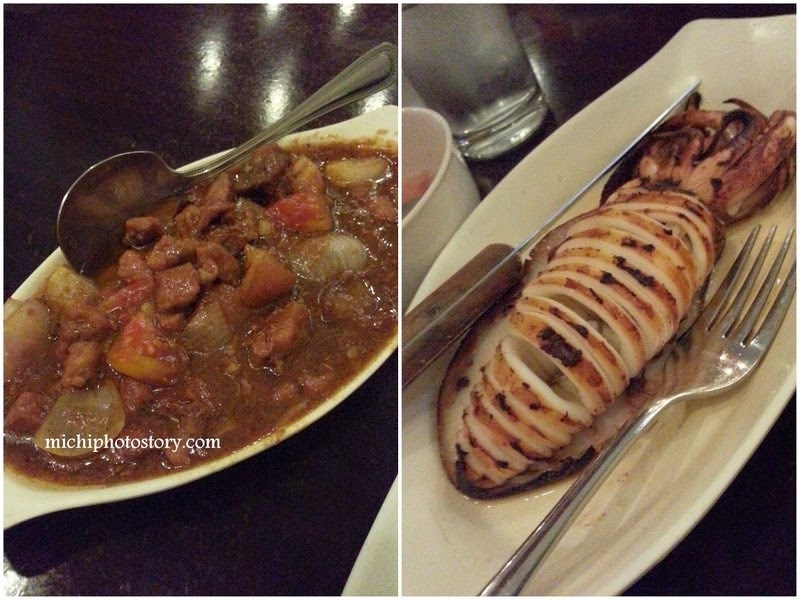 Anyway, I was checking my photos on my phone and I saw food photos when we ate in Don Henrico’s two months ago. Hehehe! It was not my first time in Don Henrico’s, my first time was when I was still in College. 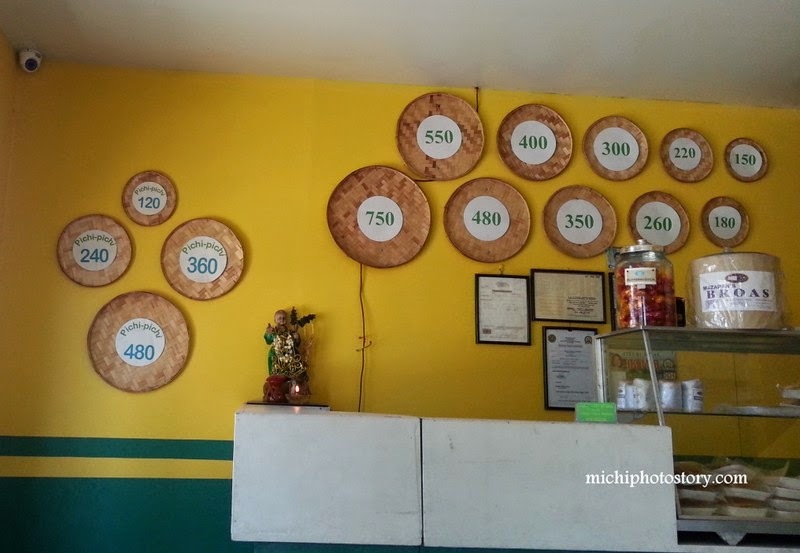 My Baguio trip will not be complete without eating in Don Henrico’s at Session Road. 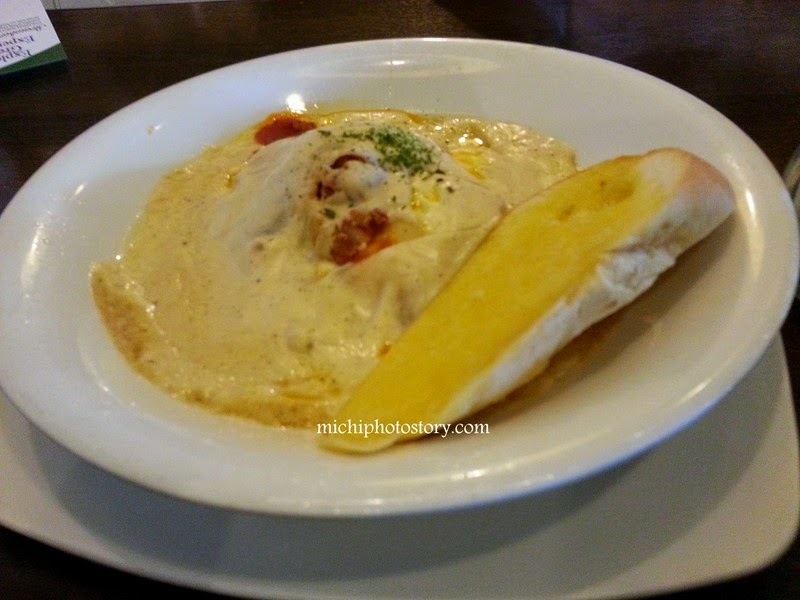 It was really nice revisiting this restaurant again but this time not in Baguio but in Festival Mall. 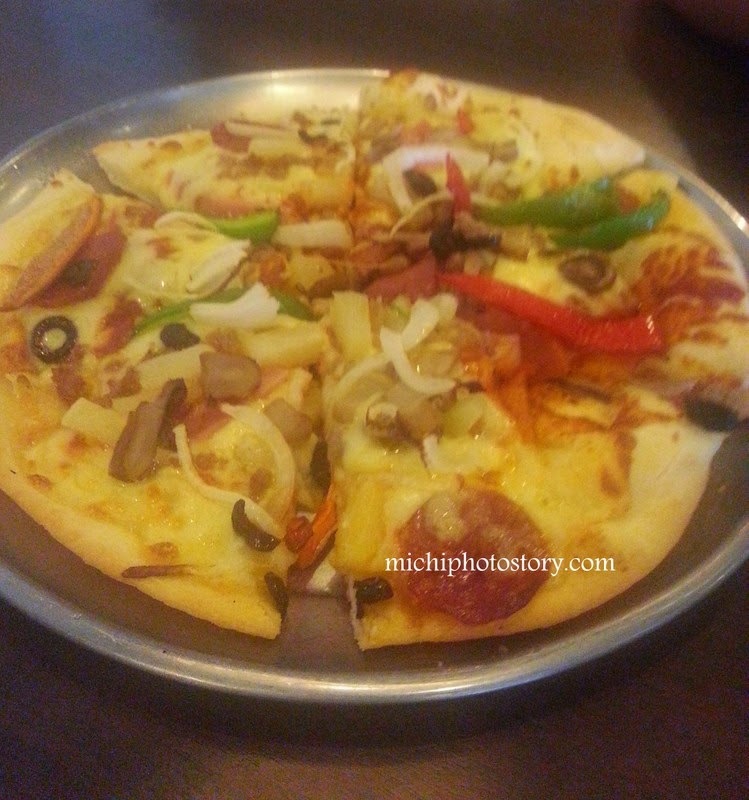 Of course, I ordered my favorite which is Lasagna P290 and Don Henrico’s Supreme Pizza P310. 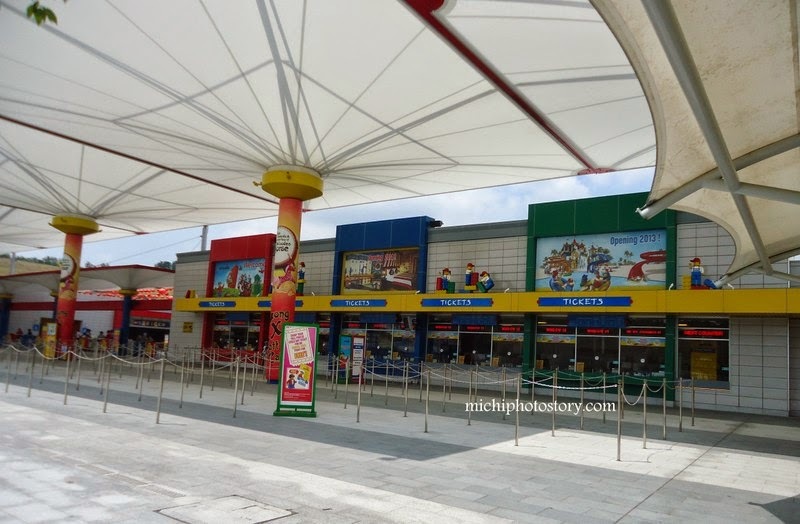 We always visit Festival Mall but I did not know that they have a branch here medyo tago kasi yung location nila. 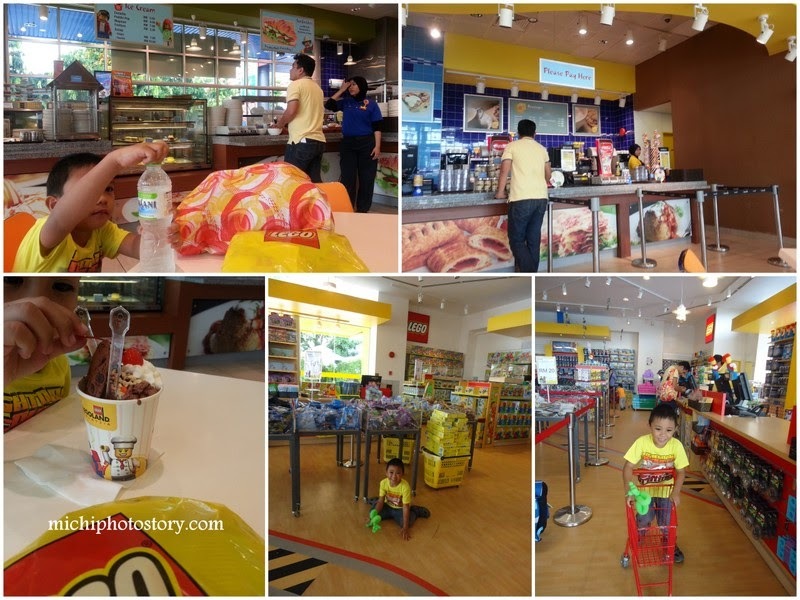 We had a staycation at Makati Shangri-la Hotel and since hotel foods are expensive we went to the mall for our lunch. 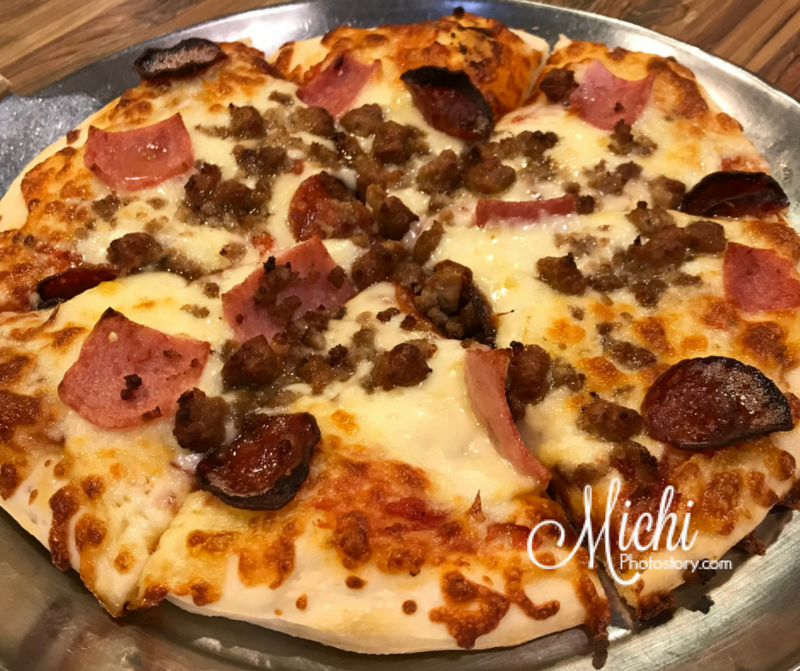 We ate at Don Henrico's and ordered lasagna, pizza and iced tea. 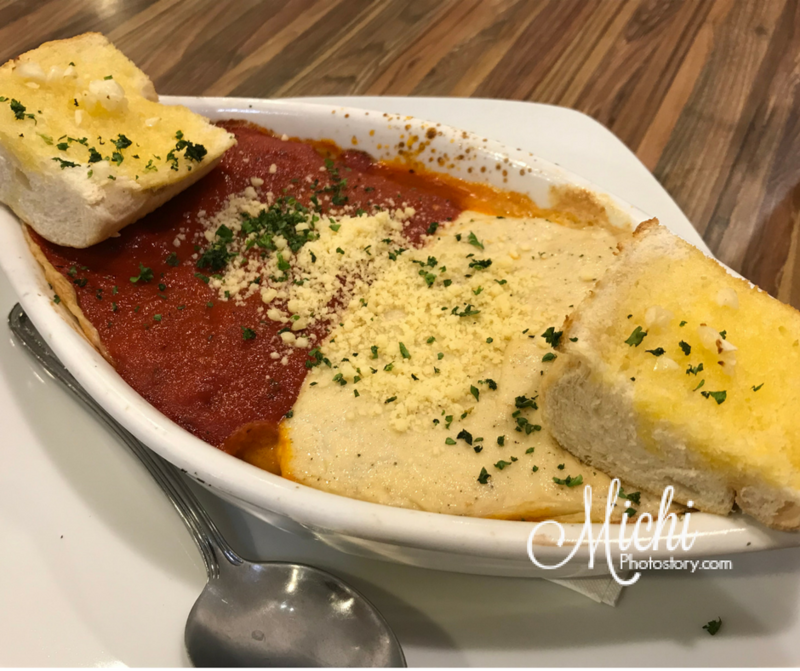 I just noticed na iba ang presentation ng lasagna sa Glorietta branch. But taste is the same, lasagna is my favorite pasta.